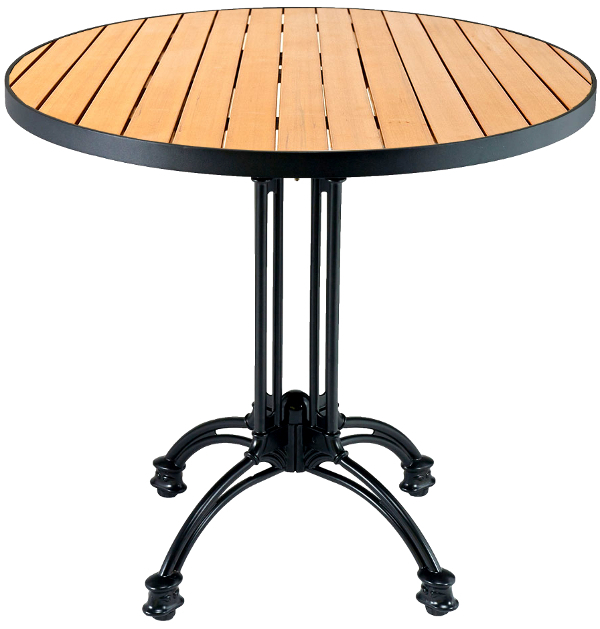 This outdoor restaurant table features synthetic teak panels with a black edge & frame. Poly/synthetic teak will last much longer than natural teak in the outdoors. Available in both 29" table height, and 42" bar height.